Mark your calendars! Join us for the Rodeo & Madison trunk show on June 25, 1-5 pm. 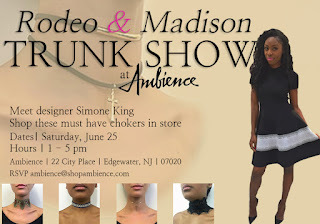 Meet designer Simone King and shop her trendy choker styles in store. 3 Tops 1 Pair of jeans, we need options!